DAVID LE/Staff photo. 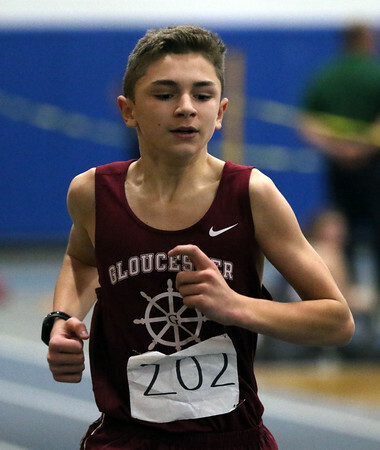 Gloucester freshman Max Boucher runs the mile against Saugus on Thursday evening. 1/14/16.